Sorry, we couldn't find any Kia K900 listings that matched your search criteria. Here are Nationwide listings for a Kia K900. 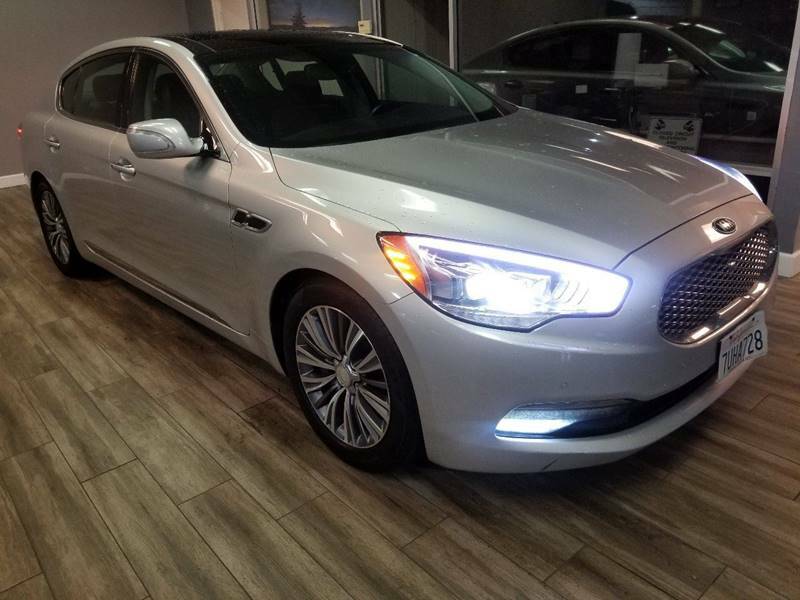 Here are our listings for all model years of the Kia K900. Sorry, we couldn't find any 2015 Kia K900 listings that matched your search criteria. You might be interested in these similar years for Kia K900. Avg. Dealer Rating: (20 reviews) "Quick response, eager to help"
Avg. Dealer Rating: (4 reviews) "Took much too long to close the deal. Didn't provide the manual or anything which comes with cars. Had to wait while car was cleaned. Put new mats in the car which were the wrong ones (don't fit). Were asking more for the car than Cargurus listed. Had to put gas in the car but didn't fill it up (perfect opportunity for pr). With all of these negatives, I wonder if they shred documents that were pitched into the waste can at the salesman's desk. The salesman said they do. Should have brought them home with me to dispose of. I might recommend them but with stipulations. " Avg. Dealer Rating: (21 reviews) "Good to work with "
Avg. Dealer Rating: (1 review) "The carsaleman there was great Muhammad he is really good helpful very patient young guy the manager there is great also respectful dealership I think they are the best"
Avg. Dealer Rating: (21 reviews) "I purchased a vehicle from Full Throttle Auto. They were the best auto buying experience that I have ever had. Great people , low pressure, great car." Avg. Dealer Rating: (3 reviews) "Good communication and I was treated properly. Decent pricing as well but it just didn't work out for me personal issues." Avg. Dealer Rating: (21 reviews) " Longest review I've ever written and worth the read. I've been smiling ear to ear since I left this place with my new car. After 7 years just leasing car after car I decided it was time to buy. I could see there were a ton of 5 star reviews here and on car gurus so I had to see what this was all about. I have to say, no pressure here. You walk in and you're instantly at ease. HIGHLIGHTS: ***RESPONSIVE*** I can't tell you the surprise calling the number at 9pm to leave a message and actually talking to someone. ^Not that I advocate for you to call poor Steve that late at night. Send an email and need it back in less than an hour? Yeah they do that. ***PRICE*** every car on this lot is a GOOD or GREAT deal. You can search country wide, even if the price isn't top 3, your experience will be. ***EASE OF DOING BUSINESS*** Easiest car purchase experience ever (I traded in my 17 Corolla SE for a Lexus NX200T, and I was in and out with financing in less than an hour and a half.) "
Avg. Dealer Rating: (27 reviews) "Had a great experience. Contacted me first thing next day. Had car ready for test drive when I got there and purchased the car with ease. Great experience."